#1,115 The Launch. – Laurel Mercantile Co.
Now reading: #1,115 The Launch. 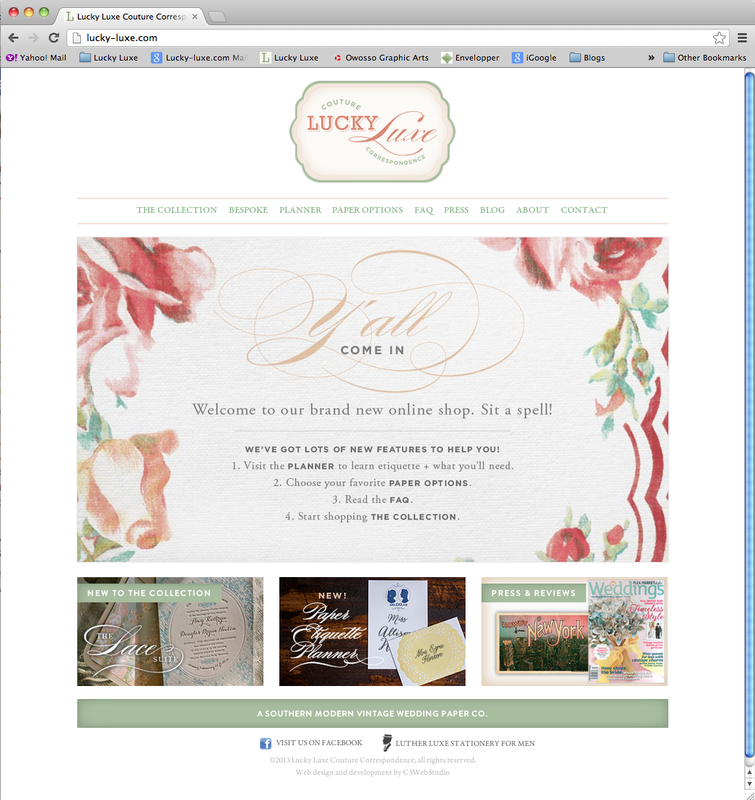 This time about 2 years ago I finished up a redesign of the Lucky Luxe website. It’s mind boggling that it became outdated in that time, unable to meet the need for brides who want to order invitations using their phones. After several months of plugging along working together with C3, an incredible web strategy and design firm just around the corner from my shop, we’ve finally launched the new site! It’s mobile-friendly and has a fantastic personalized ordering system that we’re still working the bugs out of, but you can see the quasi-completed live site now here. I’ve been waiting for this day for so long and I’m thrilled to death with how it’s turned out!